Exclusive from Netent Stalker and GrandWild! Contact Support with the designated codes! Do you like Free Spins before making your first deposit? 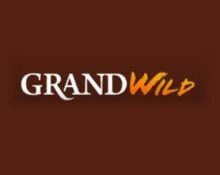 Look no further as NetentStalker has teamed up with GrandWild Casino to bring you this exclusive Welcome Offer for Free Spins, no deposit needed. And to make this a rockalicious offer we have chosen the latest Netent Rockstar slot: Motörhead™ for this promotion to get you off to a wild and loud start at GrandWild. Allowed Games: Check with Support which games are allowed for wagering. Once you played your Free Spins you can look forward to a very generous 300% 1st deposit bonus + 200FS on Gonzo’s Quest and Dead or Alive! Launched in 2013 GrandWild is operated by HighWeb Ventures N.V. under a Curacao License. They offer games from Netent, GameOS, Microgaming and Playtech, which are tested on a regular basis by iTech Labs. Recently they added Live Casino games to their portfolio. A long list of payment methods such as Visa/MasterCard, Neteller, Skrill, Trustly, QiwiWallet, Paysafe Card and Bank Transfer ensure safe and fast deposits and withdrawals. Customer Support is offered via Email and Live Chat.